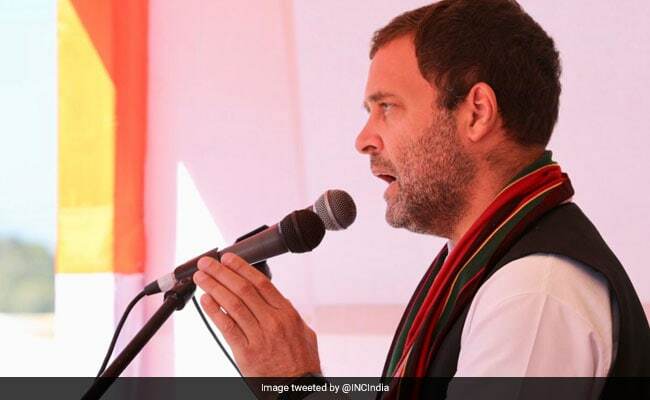 Rahul Gandhi also said the party effectively "ironed out" tensions among the leaders within the party in various states ahead of the elections. "We have defeated the BJP in Madhya Pradesh, Rajasthan and Chhattisgarh... There will be no issue over (selection of) chief minister. It will be done smoothly," he said. He was replying to a question on who will be the party's chief ministers in the three Hindi heartland states. While senior party leader Ashok Gehlot and state Congress chief Sachin Pilot were in the race for the post of chief minister in Rajasthan, the contenders for the top post in Chhattisgarh are TS Singh Deo, state party president Bhupesh Baghel and OBC leader Tamradhwaj Sahu. In Madhya Pradesh, state Congress chief Kamal Nath and senior leader Jyotiraditya Scindia are vying for chief ministership. Mr Gandhi also said that the party effectively "ironed out" tensions among the leaders within the party in various states ahead of the elections. He also said that all the leaders worked unitedly which helped the party emerged victorious in three Hindi heartland states. "This victory is of the Congress party's workers, farmers and the youth and small traders. There is a big responsibility on the Congress party now," he said.